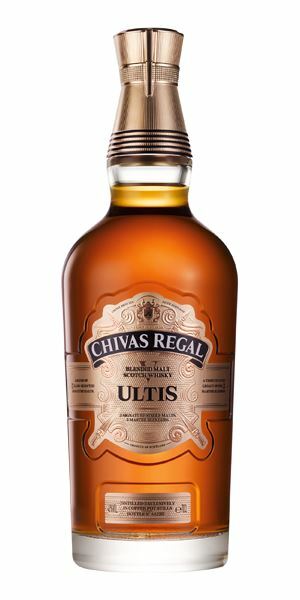 The first blended malt from Chivas Regal was big news when first announced, and the liquid lives up to the hype judging by Dave Broom’s score. 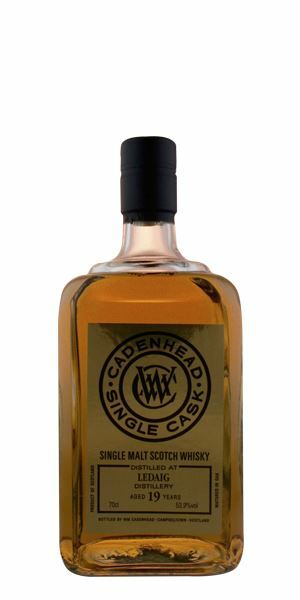 This is joined by an exemplary eight-year-old Craigellachie, proving once again that age is just a number and young whiskies can be beautifully complex – this one’s all meaty, waxy and rich in both flavour and texture. 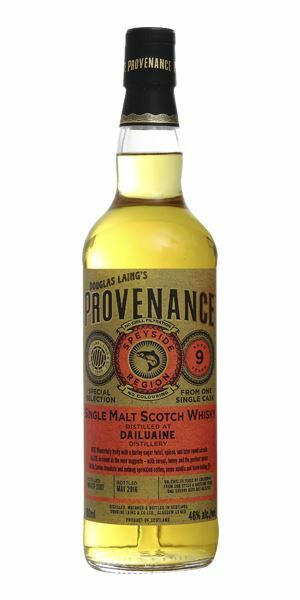 A nine-year-old Dailuaine follows, demonstrating the distillery’s sweet, yet savoury character extremely well. 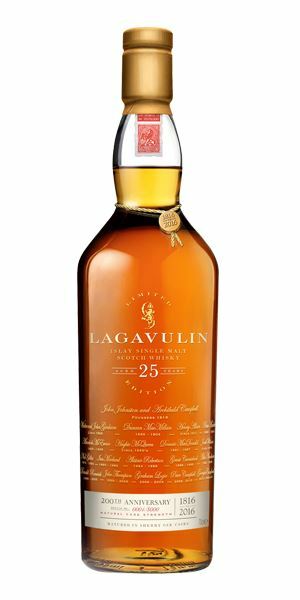 Then it’s onto something particularly special – Lagavulin 25, launched to celebrate the distillery’s 200th anniversary earlier this year. If you’re lucky enough to have nabbed yourself a bottle, we recommend you share it (with us). 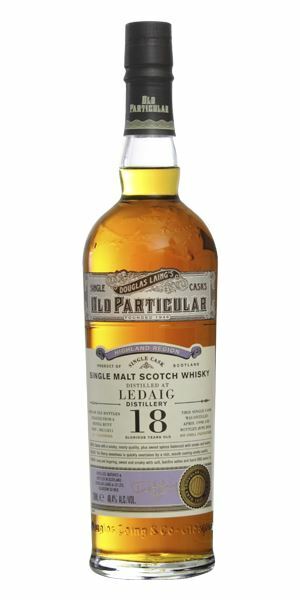 This week’s tastings then finish on a smoky high with two Ledaig offerings – an 18-year-old bottled by Douglas Laing and a 19-year-old from William Cadenhead. Gently elegant with masses of sweet citrus, sandalwood and peach juice, then sweet spices and a sumac-like lift. There’s thick vanilla and almond in the background alongside fresh sawn timber and sweet spices. Mature and appealing. As eager to please as the nose, but this exuberant energy is allied to richness and some depth so that you get ripe dark fruits, Sherried elements, green almond and a late-on burst of pineapple. It has decent grip and much more spice with water – although dilution reduces its impact (it’s only 40%). I’d keep this on its own and sip slowly. That said, it’s all very well-mannered and therefore very Chivas – a dessert dram. Sweet fruits and a little oak. Both classical in its depth and in the established house style in the gently flowing delivery. But by shifting oak further up in the mix to accentuate sweetness, it’s also very modern. As sweetly surfaced as John Grant’s Marz… but what lies beneath? Good, deep gold colour for such a young ’un; already robust. 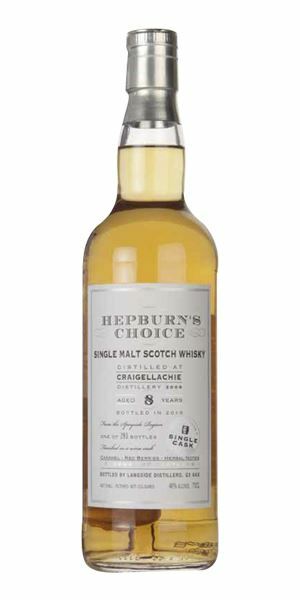 Has some of the fatty elements of the distillery character along with ripe fruits, pears and melon, plus a new drum kit and a hint of wax at the back. Water allows all of this to be retained. Good distillery character here as well. Robust with the new make sulphur having now been shifted into light meatiness, while there’s typically unctuous weight on the mid-palate. This mix of the fresh and the waxy is pretty remarkable for one so young. Dilution dials down the texture and shows the oak pulling away from the spirit, suggesting full integration is still underway. That said, when neat it’s a wee cracker. A pretty classic Craigellachie. Worth a look. Young certainly, but already clearly Dailuaine with a savoury edge from the off: air-dried beef/cold roast beef, with a slightly nutty/burnt element to it, then some hot sesame oil and bourbon biscuits. Thick and sweet, which is also typical of the distillery. A slight firming up on the mid-palate as the oak and spirit combine. Things are pretty well concentrated already. With water, things become slightly oilier with beef stir fry. Water makes things lighter but also brings out jammy fruit before a dark chocolate crush on the back palate. A great introduction to the distillery. A Chinese takeaway by the banks of the Spey. Immense and massively complex. Hard to know quite where to start. There’s chocolate and resin, dried mint and rooibos tea. A top-end cabinet-maker’s workshop. The smoke is so well-integrated that you never see it as a separate element of the overall whole. In time some savoury smoke (Cohiba Robusto) is counterbalanced by honey and camphor, then meadowsweet. It becomes increasingly exotic, mixing drying seaweed with old pine logs giving up their faded aromas on the fire. Then come surprisingly ripe berry fruits. The incense-like element makes it somehow a drink of sacred space. I accidently left some in the glass overnight and it was still growing 24 hours later. That’s how complex it is. A surprisingly soft start, then things begin to dry around the edges; wormwood and calamus, before it fluxes back into sweet, rich, peat-accented fruits – it has retained its exotic element. On the back palate some peppered chocolate and smoked fish. Grows in weight, richness and oiliness. Essence of Lagavulin. An immense dram which rounds off a pretty remarkable 200th birthday party. Those who can afford it, please share. A Buddhist temple in Kildalton. More cask-driven than the Cadenhead bottling, with some dried coconut/coconut shell (which adds dryness). It’s earthier as well with some Jerusalem artichoke and oxidised Oolong tea, and the start of a more leathery aspect. Firmer, with sooty, chimney-like smoke. In time, there’s a sudden blast of the farmyard: cow byre/goat shed, then that lifts and out comes fragrant wood. Dry, but that scented wood is now mixed with some dried rose petal and, in time, massively tarry phenols. It gets generally oilier and thicker. Water lightens things considerably and the oak begins to make itself felt, and in combination with the smoke this dries everything even more. A bolder but still decently balanced (and suitably weird) Ledaig. A pleasingly smoky opening with heavy phenols, hot bitumen, then bamboo shoot and a herbal element before vanilla ice cream. This being Ledaig, there’s an underlying earthiness but behind is this balanced smoke and sweetness. Good balance. With water, the drier elements take charge. Smoke from the start, but it remains well-balanced. In fact, rather than getting more smoky, things sweeten and become remarkably mellow before nutmeg and ginger come through. A touch of nuttiness pokes out, then the smoke re-emerges. Though strong, it’s best balanced when taken neat. After the tattie howking, he rests beside a peat fire. 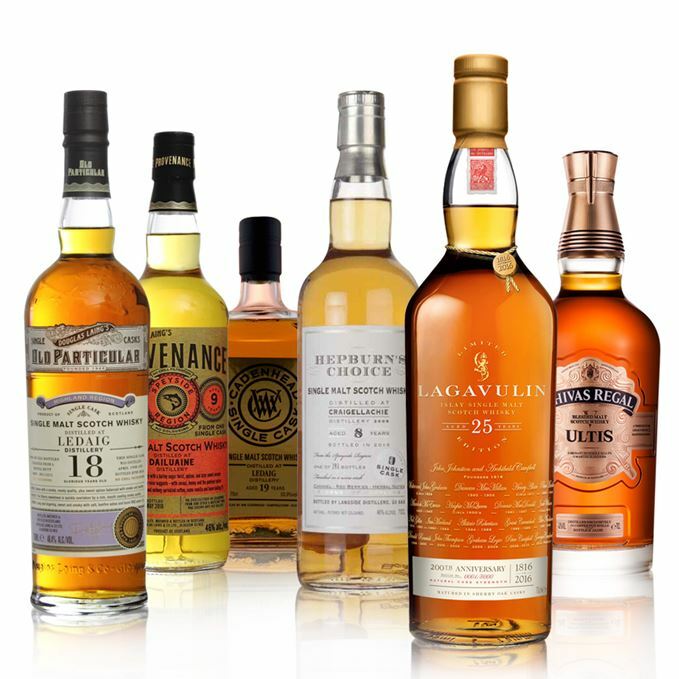 Batch 68 28/10/2016 A 30-year-old Glen Grant and a trio of Longmorns are the film stars of Dave Broom’s tasting notes.